Our Just Added Section keeps getting bigger! Have you been over there lately? Be sure to head there right now if you haven't for tons of new items for your business! 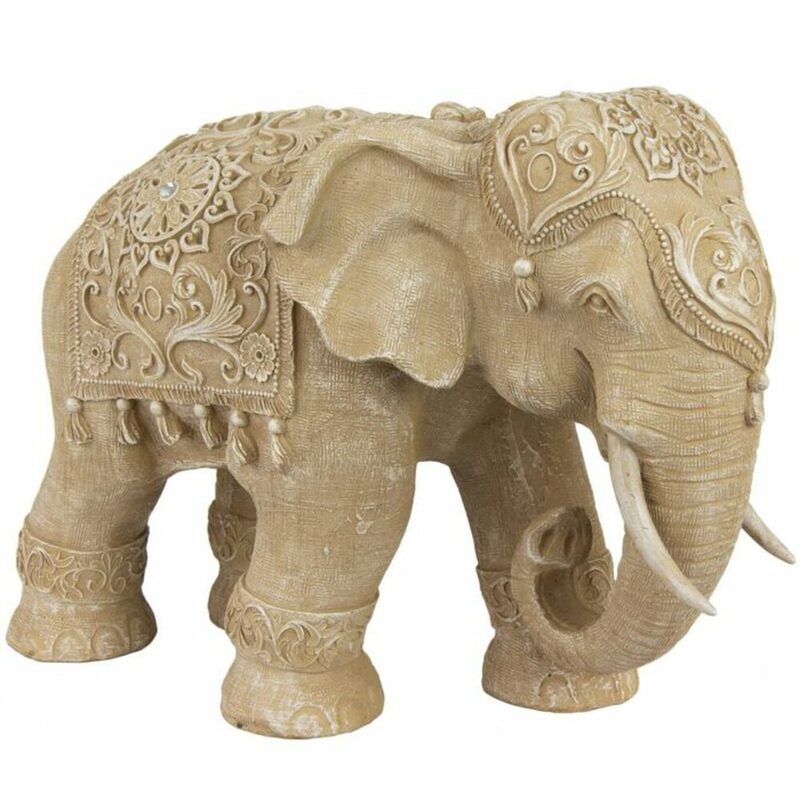 The one item that stuck out is our lovely new Rustic Jeweled Elephant Statue. If you're looking to enhance the feng shui in your spa or salon, this majestic creature is a great start! The elephant is regarded as the most wondrous creature ever created and is greatly admired by most (if not all!) humans. According to Buddhist beliefs, elephants are celestial animals and one of the sacred treasures of Buddha. Placing a statue of an elephant, or a pair of elephants, near the front door of your business brings good luck, protection, and strength! Our lovely jeweled elephant is finely carved to show every wrinkle and fold of its skin, as well as each tassel and ornament on its dress. So beautiful! Update your spa decor, or retail this lovely creature to your clients today!